An 8-pack of delicious Almond Spice Cookies. 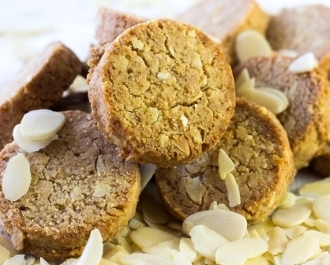 These are wheat-free cookies made with Almond Flour and a wonderful sweetening blend. They feature sliced almonds with hints of vanilla, cinnamon, and allspice. Great with coffee!